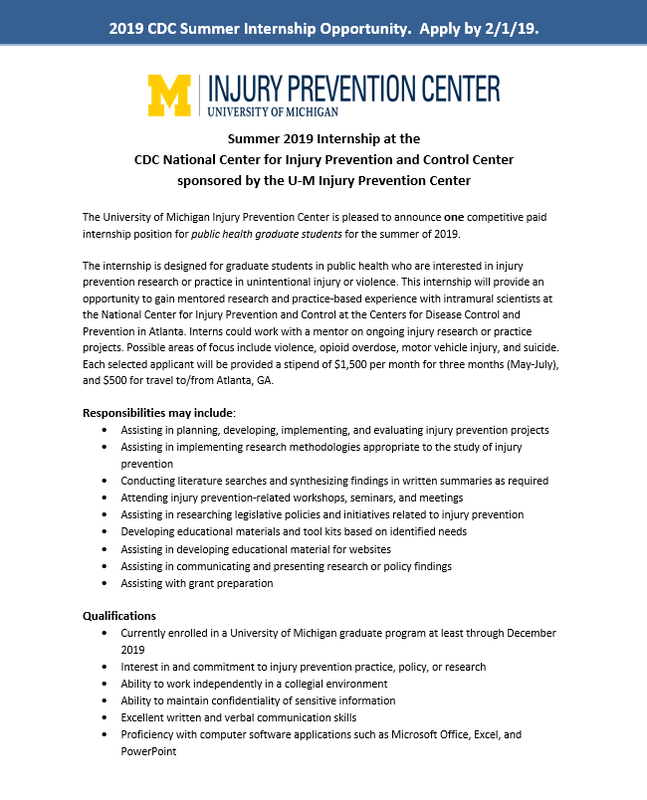 The University of Michigan Injury Prevention Center offers paid summer internship positions for graduate and or medical school students to support their development and generate interest in the area of injury prevention. We invite highly qualified students AND those with appropriate placement opportunities to participate in this educational experience. Please become a member to receive notifications about this program. Please click on the images below to read the full summer 2019 internship announcements. Interested candidates must complete and submit all of the materials specified in the internship announcement by midnight, ET, on Friday, February 1, 2019. Please be certain that your application contains all required elements prior to submitting. 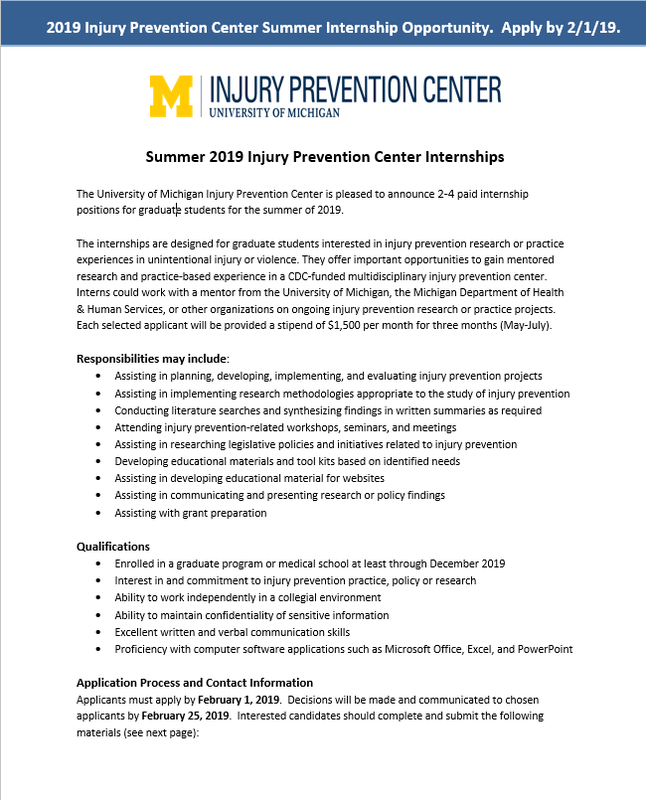 Submit your full application (as a single document, if possible) via email to bmarieb@med.umich.edu. Note: Letters of recommendation can be submitted directly to Bethany Pollock (bmarieb@med.umich.edu) if that is the preferred/most convenient method of sending. Decisions will be made and communicated to chosen applicants by February 25, 2019. Questions? Please email Bethany Pollock (bmarieb@med.umich.edu).